With prices of renewable energy systems continuing to drop and environmental concerns growing, wind energy market is indeed turning out to be an opportunistic ground for potential investors. The Vindeby project, claimed as world’s first windfarm, for the records, began its operation, toward the end of 19th century, with a turbine capacity of 0.45 MW. More than two decades have passed and the humongous expansion of the wind energy industry over the period is quite indicative from the estimations which claim this business space to have held a global market share of more than USD 70 billion in 2016. These promising prospects have led to an increasing investment from oil and gas giants, aiming to exploit maximum opportunities of wind energy industry. Europe undoubtedly has been one of the most outpacing regions partaking in wind energy industry, and is projected to maintain its supremacy over the coming years as well. A plethora of factors have acted in favor of the regional growth, financial backing by both private and government entities being at the pinnacle. In 2017, the European Commission, under its flagship framework program, Horizon 2020, has invested almost USD 17.83 million toward integrating advanced monitoring technologies in offshore wind farm, for reducing the excessive operational and maintenance cost. The Renewable Energy Directive by the European Union deals with the overall production and promotion of energy from renewable sources among EU countries. According to the policy, the directive has set a target of 20% renewable energy integration in the regional energy matrix by 2020, with wind power of over 200GW installed capacity. 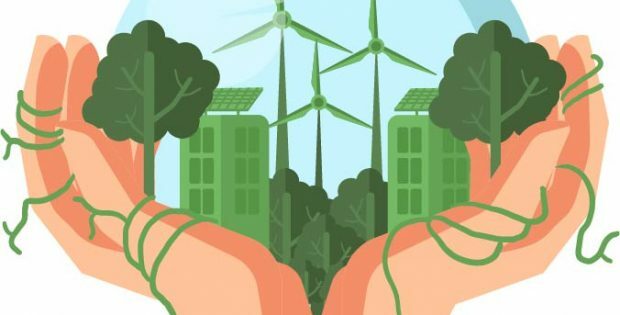 With stringent regulatory groundwork propagating carbon-free environment and various initiatives taken toward clean energy scheme, Europe has undoubtedly established a strong footprint in global wind energy industry. As per the recent reports by WindEurope, the European Wind Energy Association- the region is on its way to install wind farm at an average rate of 12.6 GW each year, up to 2020. Reportedly, the proposition comes on the heels of Europe’s plan of covering almost 16.5% of the regional electricity demand from wind energy by 2020 and 30% by 2030. Reports also forecast that the major chunk of these deployments would be circumventing around six countries namely Germany, France, UK, Spain, Netherlands, and Belgium. In the year before last, the Netherland government has approved a bid for an offshore project that is claimed to be the cheapest of its kind in the regional wind energy market. A consortium led by Shell, reportedly has received this Dutch offshore wind contract of 700 MW capacity, at Netherland’s lowest strike price ever of €54.50/MWH. Just few months back, the Dutch government was awarded a similar kind of contract for the Borssele I and II wind areas in a bid of 72.70 euros/ MWH. Denmark has further set its own record in November 2016 auction, with a winning bid of 49.90 euros/ MWH, almost 50% drop from its level in the year 2014. The downward trend of bidding price is reflecting the cost competitiveness of renewable energy systems, which in a way is helping wind energy market proliferation. Germany is also making significant attempts to establish its stance in the Europe wind energy market share. In April 2017 German auction, the average strike price for the wind energy projects was reported to be far below than the expectations, and the pace at which it is declining is really worth noticing. In fact, some of the bids, for the records, did not even require subsidy, and were won at wholesale electricity price. In this regard, the Dutch government anticipates that the regional offshore auction, by 2026, would require no subsidies at all. Wind energy industry has indeed transited from a niche vertical to an opportunistic business space over the last decade, making Europe a forerunner in the regional landscape. Having had a considerable regulatory and economic support, Europe market presently accounts for a lion’s share of almost 90% of the global offshore wind capacity. With maturing supply chain, high level of expertise, and increased technological intervention, Europe wind energy market size is forecast to observe a double-digit growth rate of 10% over 2017-2024. All in all, fast paced growth, profound regional investment, falling component prices, and technological interventions are some of the major rationales expected to drive global wind energy market. Researchers are scrupulously planning to take maximum advantage of upgraded technology such as incorporating advanced turbine models, with an aim to curtail the overall generation tariff.With the globe envisioning a carbon free environment and the regional governments sustainability march, the profitability quotient of wind energy market is bound to witness a turnaround of sorts over the coming years. Global Market Insights, Inc., forecasts the overall wind energy industry size to record a mammoth valuation of over USD170 billion by 2024.